What goes on at the Zoo at night? Safari Night guests get to find out! Monkeys chatter, wolves howl and tigers roar as your Safari Guide leads your group on walking tours of different parts of the Zoo. You'll learn all about the Zoo's animals through hands-on activities and animal encounters. The Safari Night program is only available for participants ages 5 and up. All participants receive a Safari Night T-shirt. Enjoy all-day Zoo admission immediately following your Safari Night. 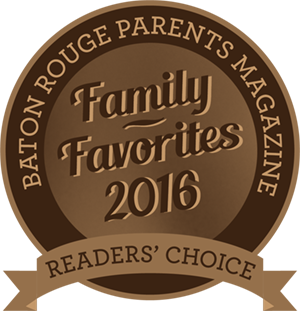 All themes include tours of the zoo, animal presentations and a ride on the Cypress Bayou Railroad. Aching for an adventure? This program will have your group searching the Zoo for clues about our animals and becoming animal enthusiasts overnight. We will use clues to figure out who's who in the Zoo. Activities include a Zoo scavenger hunt, tours, and games. In the morning prepare an enrichment treat for a Zoo animal. Enjoy an evening focused on the nocturnal animals like owls, bats, bugs, and more. Learn about these sometimes misunderstood creatures through presentations with live animals and animal biofacts. Activities include Zoo hikes, tours, nocturnal exploration and games. In the morning, help us give breakfast to one of our Zoo animals. Travel to Africa, without leaving the country. African wildlife and culture will be in the spotlight throughout the evening. Create an African craft, learn African folklore, and then your group will help us give breakfast to one of our African animals in the morning. Find out what it takes to keep our animals happy and healthy. There's more to it than just providing food. Keepers are always thinking of new ways to entertain and challenge their animals, and you'll get to help them do it. Participants will also learn neat tricks to use at home with pets. Call the Zoo Education Department at 225.775.3877 option 5. $150 non-refundable deposit is required to secure your date. The Zoo accepts Visa and MasterCard. Bring your sleeping bag and pillow. Sleeping accommodations in the Zoo's climate controlled education building with two restrooms. Enjoy dinner and breakfast, included in your Safari Night package.